Maintaining high standards of business conduct is essential to enhance our overall business performance, build trust, and maintain and improve our reputation with stakeholders. We believe visible leadership is essential to maintain a culture of Total Performance and responsible business conduct among personnel at all levels and wherever they work in the world. 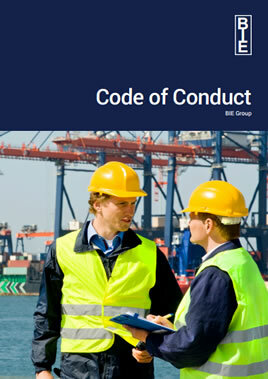 The BIE Group Code of Conduct applies to all BIE Personnel, whether Staff, Associate Companies or Contractors that provides Inspection, Expediting, Auditing, Technical Staffing and Design Services.